The TW200 luggage rack is made from sturdy steel and easily bolts on to the rear fender of this popular dual purpose bike. 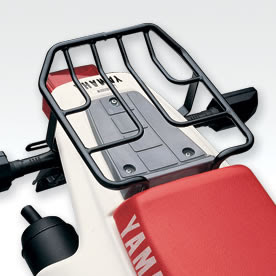 This is one of the very few accessories for the Yamaha TW200. Fits all years! Rear racks are essential for longer trips allowing you to carry any number of items such as a knapsack, lunch, your jacket and so on. To buy this rack and more TW200 motorcycle accessories browse TW200 on our online site. 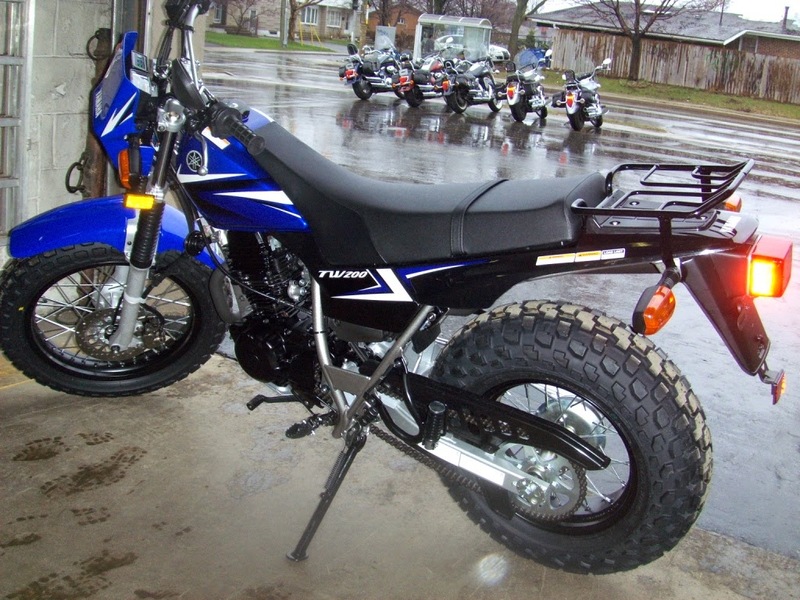 Buy TW200 parts like tail lights, fenders, seat, brakes, etc. see our Yamaha Motorcycle parts pages. We supply parts for TW200 models. To buy TW200 accessories such as luggage racks, etc. see our Yamaha Motorcycle accessories pages. .